Travelling overseas? Planning the great escape? Wouldn’t it be nice to be able to talk with the locals once you get there? Whether you want to speak like a native, or simply order a coffee without the hand signals, Boroondara Library Service can help you achieve your goal. Visit one of our six libraries to discover our wide range of books and CDs to help you learn anything from colloquial speech to formal language. Study at home, or on your way to work. 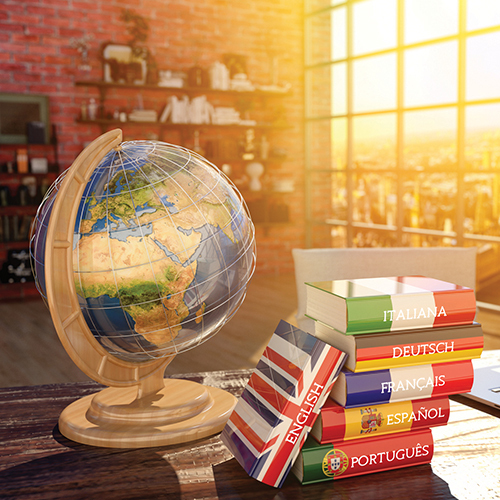 Learning the language of your choice is now easy and convenient thanks to our language training e-resource, Transparent Language Online. It has instruction in over 100 languages, from Afrikaans to Zulu. Transparent Language Online is available through our website. You can access it from your desktop computer or if you prefer, download the app onto your mobile or tablet for access anywhere. As an existing member of the Boroondara Library Service, signing up for your free account is easy. Just type in your membership number, choose a username and password, confirm your email, and you’re ready to go. If you are not a member, visit any one of our libraries to join. Once logged in, all you have to do is choose the language you want to learn and you’re away. It’s useful to know that many of the language courses have options tailored to non-English speakers. Click on the language that interests you to see what options are available. Once you’ve started, you might wish to click on the Resource tab on the top navigation bar to get connected with Facebook communities, read blogs, receive Twitter feeds and learn a new word every day. But don’t stop there, next time you’re back visiting Boroondara Library Service, don’t forget to check out the travel section and let us guide you towards the perfect locations to try out your new skill. Your library membership gives you instant access to our best travel eBooks and audiobooks. Download the book of your choice directly to your device by visiting Libraries or call 9278 4666.